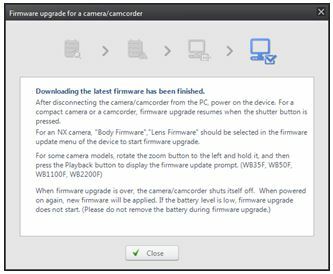 1 Please download firmware file from Samsung.com Support page. 1) Use the full charged battery. 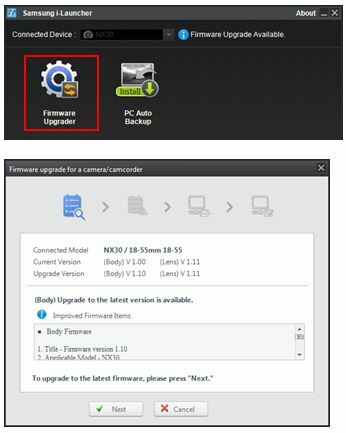 2) Suggested memory card format before upgrade start. 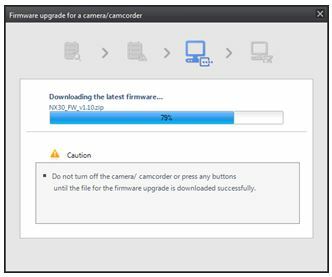 • Before installing the program, ensure that the PC is connected to a network. 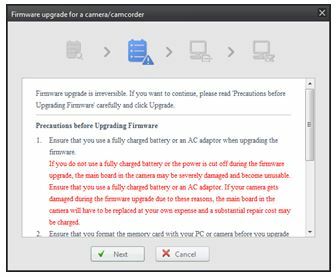 • You must plug the small end of the USB cable into your camera. If the cable is reversed, it may damage your files. 3) Turn on the camera. 4) When the pop-up window prompts you to install i-Launcher, select Yes. • If a pop-up window prompting you to run iLinker.exe appears, run it first. • When you connect the camera to a computer with i-Launcher installed, the program will launch automatically. 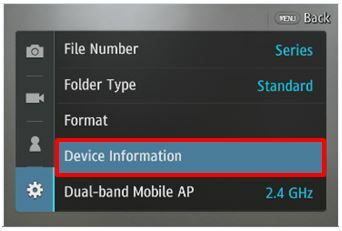 5) Follow the on-screen instructions to complete the installation. • An i-Launcher shortcut will appear on the computer. 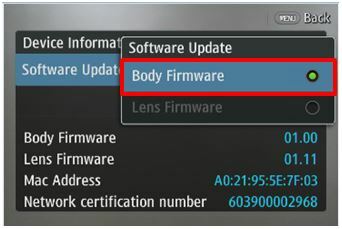 * Automatically “Upgrade window” open if new firmware registered.